We like to keep it local wherever we can and, as Dartmoor is an area well known for producing first class meat, it makes sense to use local suppliers and buy our meat as close to home as possible, cutting out unnecessary food miles and supporting the local economy. 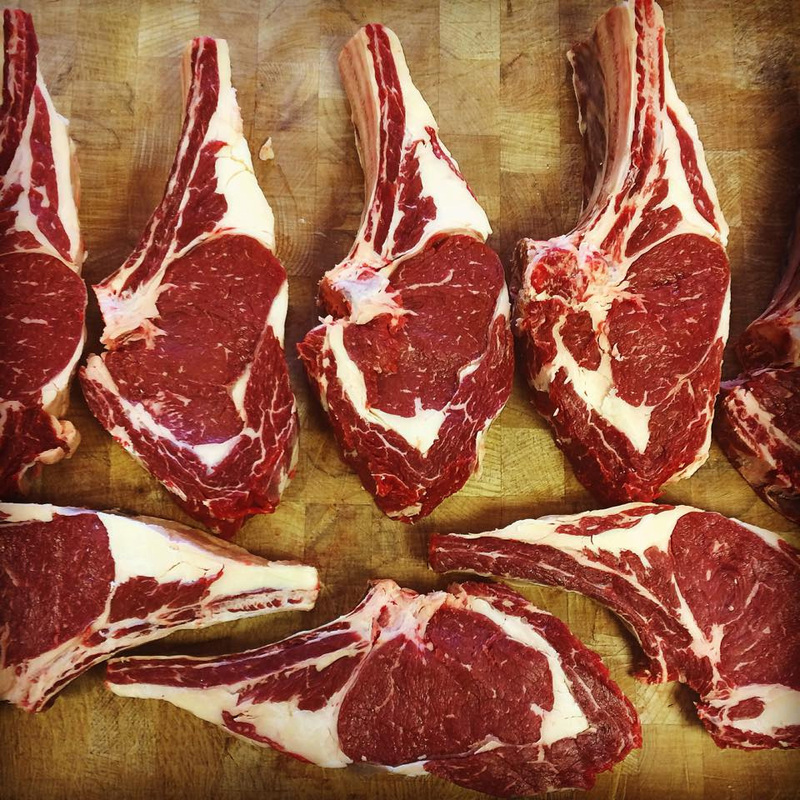 Andrew Cox, a trained butcher, and Tom Laflin, a former chef, have set up Cox & Laflin to supply fully traceable quality meats to local hotels, restaurants and individual customers. Cox & Laflin supply the White Hart with beef – so that’s our delicious steaks and burgers as well as beef for our famous pies! Cox & Laflin supply the hotel with fully traceable local beef. They supply lamb, beef and pork meat boxes direct to customers via their Facebook page. They cure their own bacon and make their own sausages too in a range of flavours. 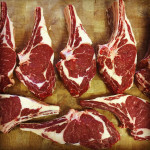 All their meat is locally-sourced, sustainable and traceable right back to the farm it came from. The meat smoker in action! As well as supplying hotels and restaurants, and selling their meat boxes, Cox & Laflin are also building a reputation for their outside catering. 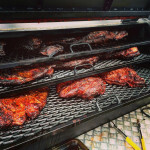 “You’ll find us at all the local shows with our brilliant smoker! 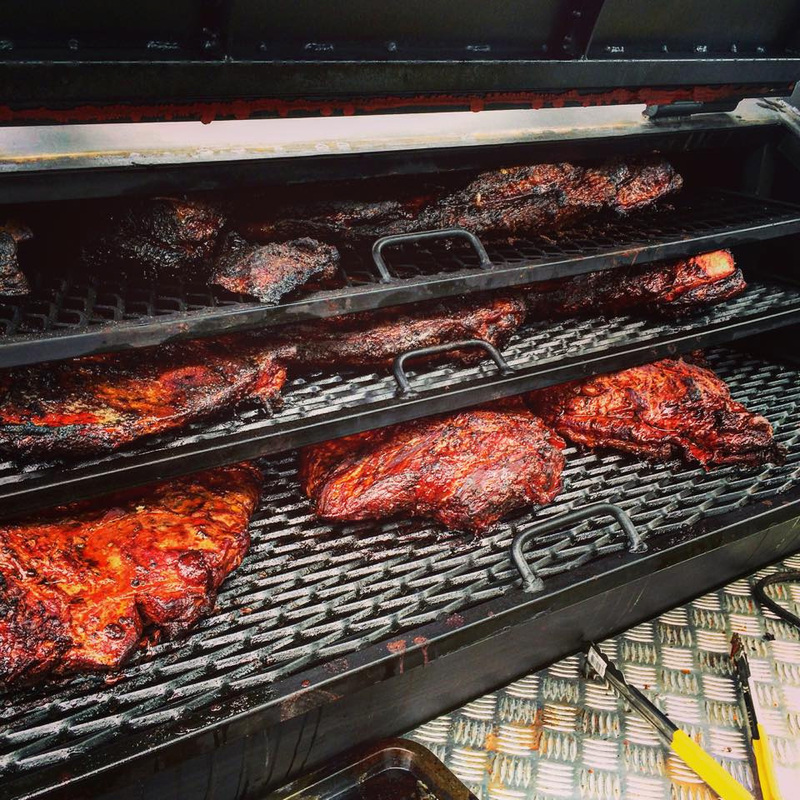 It’s like a huge BBQ, but it produces delicious smoked meats that we serve in rolls. Our smoked brisket has been a huge success,” says Andrew. If you’d like to buy some local meat from Cox & Laflin, you can call then on 01647 277157 or 07908753443, email coxandlaflinbutchers@gmail.com or visit their Facebook page. If you are visiting the area, they will pack your meat in poly boxes so that it’s still in prime condition when you get home.